Touching down on Montreal pavement you are immediately aware that this city has a thriving artistic community. There’s hardly a street you can wander down where you won’t encounter popping graffiti art, massive and soulful murals, thought-provoking sculptures and other mixed contemporary art forms. This is a city that supports local artists and encourages collaboration amongst all art forms. Montreal’s MURAL Festival plans to do just that. Contributing to Montreal’s vibrant heart and electrifying artistic spirit, this year’s festival will have international and local artists come together to create permanent art murals across the city. 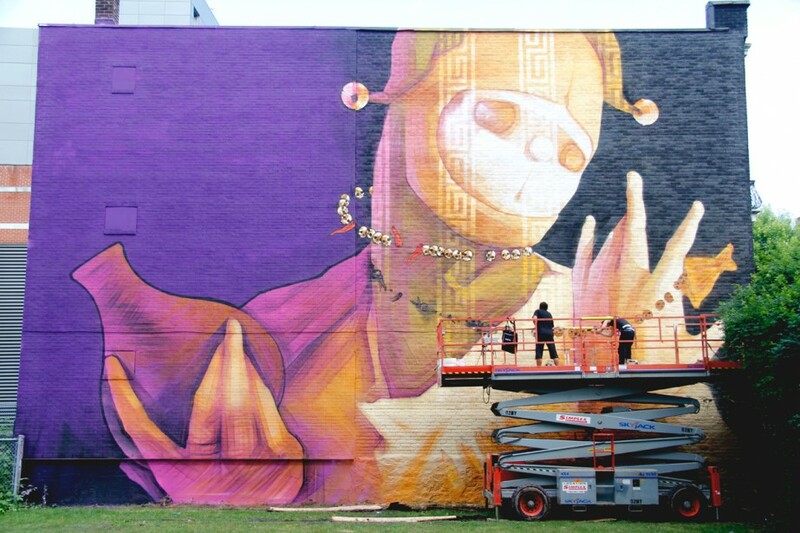 No stranger to the festival game, last years MURAL Festival brought over one million visitors and this year they hope to attract an even thicker crowd by expanding the event from 4 to 11 days. This team of ambitious artists, marketers and entrepreneurs is pledging to earn $25,000 on Kickstarter to make some seriously bold and exciting expansions. A line-up of documentaries and other cinematic works, interactive workshops and conferences, an Art Fair and Block Parties featuring a 2 day line-up of local and international DJ’s are just some of their goals. To honor your pledge, this team has come up with some unique gifts to sweeten the deal. Check them out here.